Written and updated by Dezza, 14 January 2019. In last week’s blog, we talked about our unique day trip to Rizal Province. It was a really enjoyable day trip to one of the best places in the Philippines. We got to explore an underground cave and enjoy two of the most beautiful waterfalls you would want to see. The most amazing part about it was it was only about a two-hour drive from Manila. This was the third Deztiki trip and by now there was a core group of people who were very excited about taking day tours close to Manila. Now it was time to find another tourist spot in Luzon as part of our quest to explore more Philippines destinations. 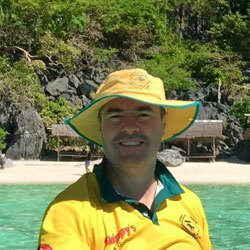 I had been doing a lot of research trying to find a tourist spot in Luzon that is relatively unknown. It’s always nice to go to some unknown places in which there are not a lot of tourists or even locals. Then you get to enjoy the place in a more relaxed atmosphere. 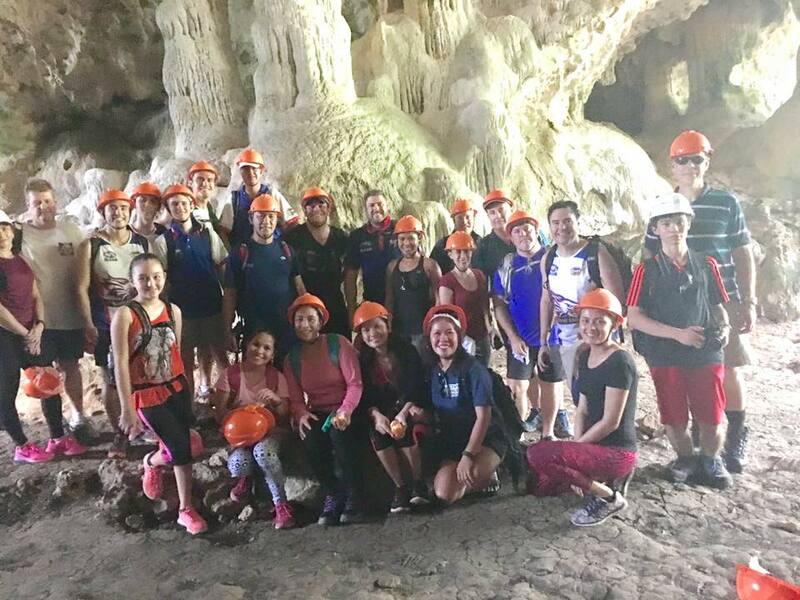 Having just visited Calinawan Cave a couple of weeks prior, I thought that we might look for more caves to explore. This is where I came across Biak na Bato National Park. In all my years of living here, I had not even heard of this place. This massive park is in the foothills of the Sierra Madre mountain range. It consists of a massive network of caves, streams, rivers and hiking trails. There is also some historical significance to the area. It was actually used as a hiding place during World War II and was General Aguinaldo’s headquarters. So like I had been doing in the previous weeks, I put the word around amongst friends to see who was keen. Biak na Bato National Park is located in the province of Bulacan which is only about 80 kilometres North of Manila. However, during the last part of the journey, you are passing through the local barangays (villages). This means the roads are loaded with local traffic. Everything from jeeps and tricycles along with other obstacles including people and animals. As we ended up departing Manila a little later than we would’ve liked, we hit this area just as all the locals were going to the markets. It took us almost as long to cover the last 20 kilometres as it did to drive from Manila to Bulacan on the freeway! Anyway, as frustrated as we were, we continued on with our journey and had a fun drive up there with some music playing and a couple of beers. When we finally arrived at Biak na Bato, it struck me as one of the more unique vacation spots in the Philippines. As a matter of fact, it’s not really a vacation spot. There is no accommodation at the National Park itself so it really is the sort of place that is perfect for a day tour. 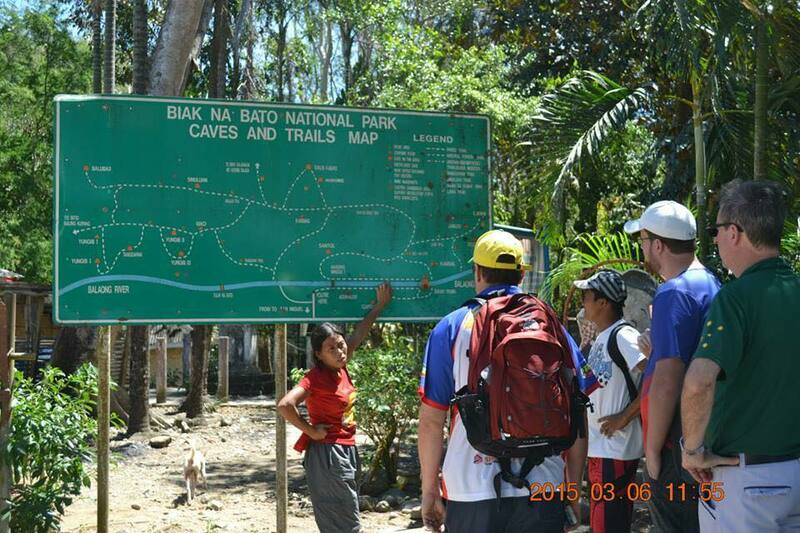 Unlike most other tourist places in the Philippines, Biak na Bato was fairly well organised with a map of the park at the entry showing the various hiking trails, and the names of the various locations within the park. However, for safety purposes, it is compulsory for you to take a guide. We were greeted by a park official who helped us with the registration process (cost P30/per person). We were then assigned a guide (P200/5 people). The park itself is over 2100 hectares and has several different networks of caves with a river running through the middle of the park. Even if we had have arrived earlier, we possibly still may not have had enough time to explore the entire park in one day. This didn’t really bother us as it gave us an excuse to come back another time. We were just happy we had found a new tourist spot in Luzon. The hiking trails within the park are all fairly well established. As a matter of fact, quite a number of the main trails are actually paved. The terrain across the park is generally fairly flat and not overly challenging. Therefore, you don’t need to be super fit or an experienced hiker in order to explore the park. Some of the caves are fairly big and not very deep and you can pass through them within a matter of a few minutes. 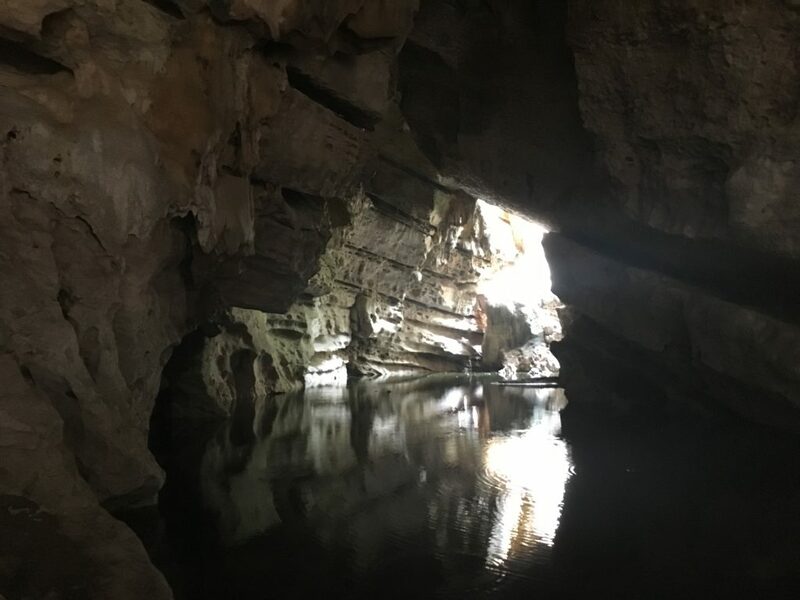 However, there are some caves that are a little more difficult to negotiate and you will find yourself on your hands and knees crawling through narrow openings. Be prepared to get dirty! The Balaong River which runs right through the entire National Park. The carabaos (water buffalo) seem curious. All in all, we probably spent about 3 hours at the park exploring two or three of the cave networks. This represented only about 30% of the entire park. It was moderately difficult in some of the caves but not all. We still managed to have a great day exploring some amazing caves. This really is a great little tourist spot in Luzon, and one of the more unique places I have seen within driving distance of Manila. It is certainly a great place to take the family as there are a number of areas in which you can enjoy a picnic. As we had only ended up exploring a fairly small portion of the park, I was eager to make a return visit with more friends. And this is exactly what happened. Exactly one year to the day later we took a much larger group of 24 people eager to explore a new tourist spot in Luzon. This time around I wanted to explore the other areas of the park that we didn’t have time to explore the first time. The beauty for us having been there the first time as we knew what the traffic was like. So this time I made sure that we left early to avoid it. This time it only took us approximately 3 hours compared to five hours the first time. The second time we had a smaller bus also so it was easier to negotiate the traffic. This is the first cave they take everyone to. It has some absolutely amazing rocks formations inside. As you can see, we had a lot more people with us on the second trip. We started off visiting the same side of the park as the first time, but only as far as the first cave. As some of us hadn’t seen the other side of the park, we decided to change course. The other side of the park was definitely a lot more interesting. There was more rainforest in this area and some unbelievable old trees that had trunks that were about 2 metres wide. 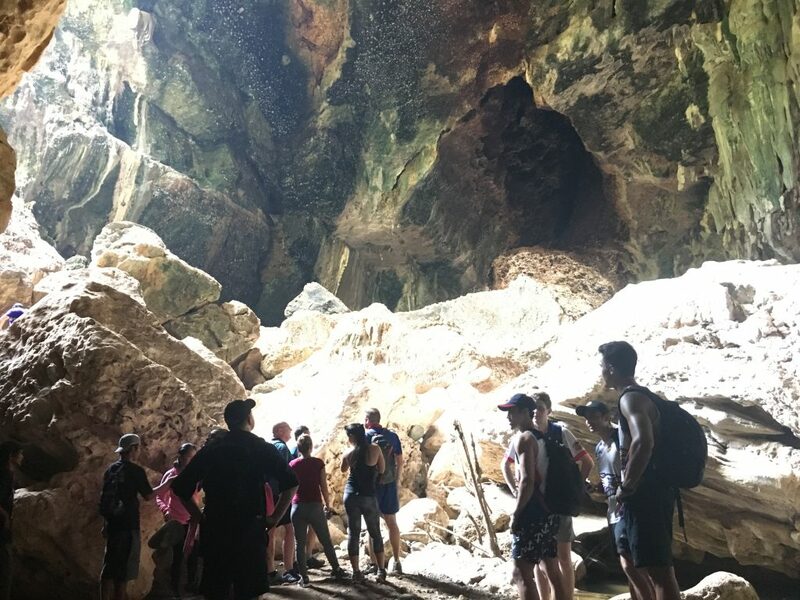 There was an amazing massive underground cave that we were able to explore and there was also an underground river system. To top it all off there was a beautiful hanging bridge over the river which was a great spectacle. This is one of the biggest caves I have ever been in. The photo doesn’t do it justice. Once again a number of the hiking trails in this area were paved and there were even some steps. The natural walking trails were all in pretty good condition and not very hazardous. This time around, we were given helmets to be used. This must’ve been a new safety requirement that had been introduced since we were last there. There are also a number of cabanas in which you could stop for a picnic and relax. Some had nice elevated views overlooking the river. The underground river was a feature of this cave. This was more like a stream than curled right around through the mountain walls. Each end of it joined the Balaong River. There were a number of locals swimming in the river but we noticed there were people nearby washing their clothes in the river. 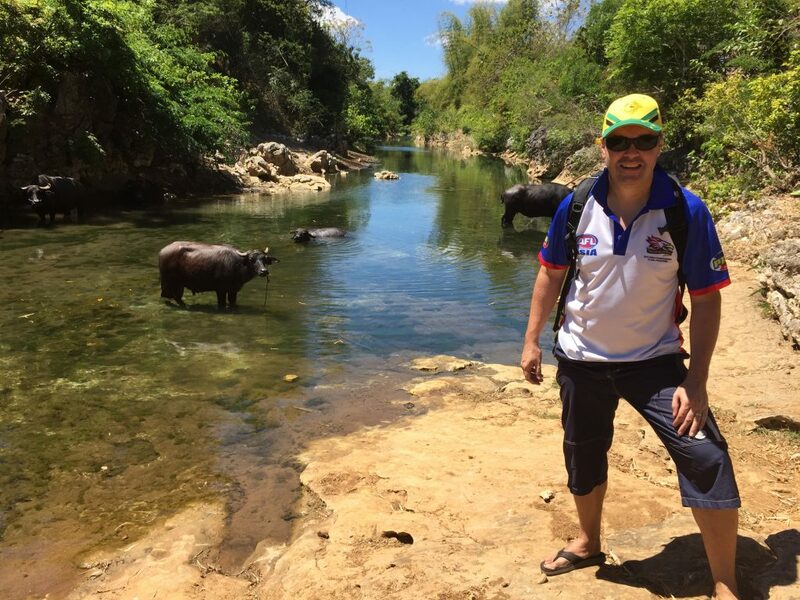 We also noticed there were some carabaos (water buffalo) in the river further upstream, so I wouldn’t recommend swimming in the river. They have a kiosk at the entrance selling basic snacks and drinks as well as souvenirs and local crafts for those interested. So all in all, it is a great place to visit and I fully recommend it. Despite our first trip not being a major success, the second one certainly was. Everybody that came on the trip was pleasantly surprised. The most important thing is that we were able to experience a new tourist spot in Luzon. The real bonus is that it is relatively close to Manila. On top of that, we had a great time doing it. There is a good video on YouTube that goes into the history of Biak na Bato. It has some good video of the caves. This will give you more of an idea of what it looks like. Unfortunately, it’s not in English but you get the idea. In my next blog, Deztiki Tours takes us back down to Laguna. Here we will check out another hidden gem which is only a couple of hours drive from Manila. Stay tuned for the next edition. Biak Na Bato National Park is located about 100kms from Makati and takes about 3.5 hours via the NLEX. There is signage for San Miguel and there is also signage for Biak Na Bato. From SM North EDSA in Quezon City, you can take a bus to San Miguel in Bulacan and ask to be dropped off at the park main entrance. Cost is about P800. You then need to take a tricycle to the registration area which is only a short ride. Although only 100kms from Makati, the road to reach Biak Na Bato goes through a couple of small towns on the way and can be heavily congested with traffic. My advice, if coming from Makati, is to leave at the crack of dawn to try and beat the traffic.